All that Glitter brings new wealth to Rolldovia, in the form of gold! You can now open up gold mines, and adorn lavish palaces, pay elite mercenaries, oil the wheels of bureaucracy, or support the work of goldsmiths. 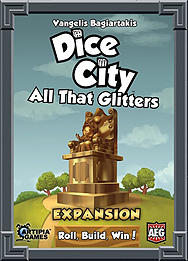 But the expansion is not just about gold, it also brings you new options for building your city with other new and exciting locations.